My friend’s 4 year old daughter is a big fan of Nemo. Quite obviously, she wanted a clown fish cake for her birthday party – I was asked to pay special attention to the eyes and tail, as those were the parts she would eat (for reasons best known to her…!!)! After some research online, I stumbled upon a very good post on the Modern Baking website. 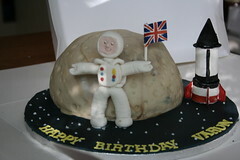 I have used most of the steps listed to make this cake. The starting point was two 8 inch round sponges, cut to the correct measurements using a paper stencil. 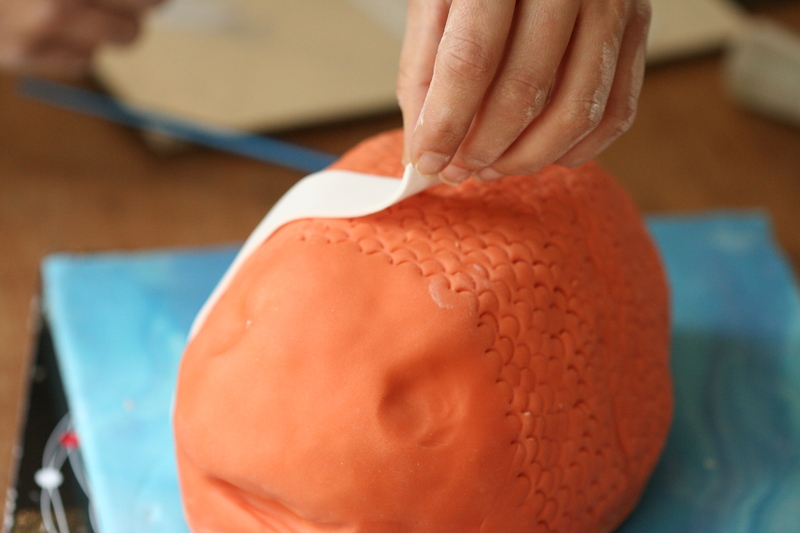 I managed to stack and shape 5 layers from these cakes to get the basic structure of the fish. 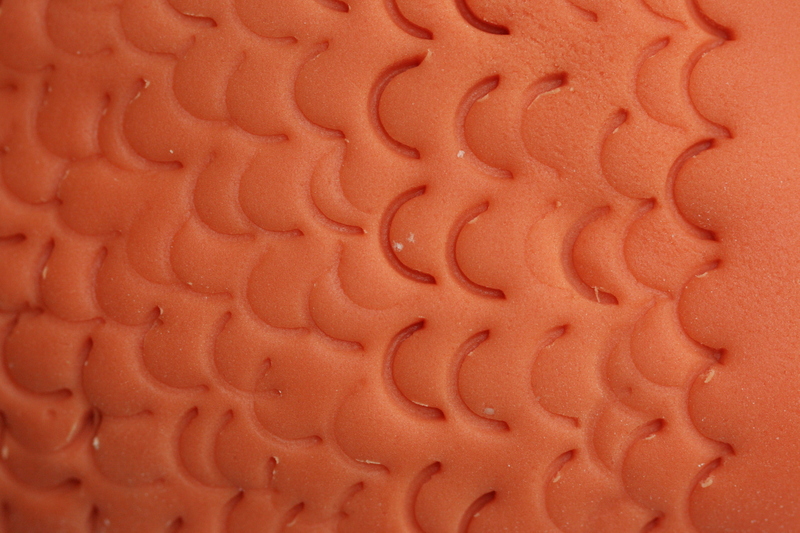 The fins are made out of gum paste since this maintains its shape and structure better than sugarpaste (fondant). These were made a night earlier and left to set in curved shapes using pencils. 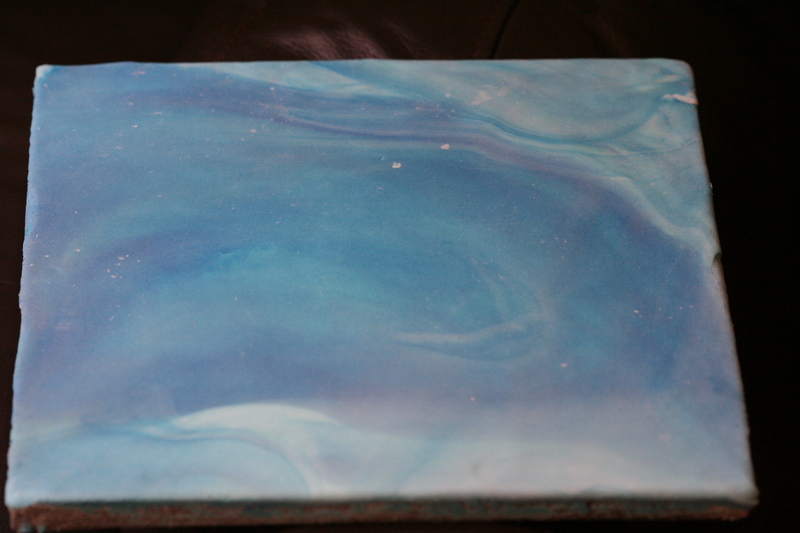 The cake board was decorated using a marbled effect created by mixing 3 shades of blue sugarpaste – to achieve this effect, place strips of the 3 colours next to each other and roll into a ball. 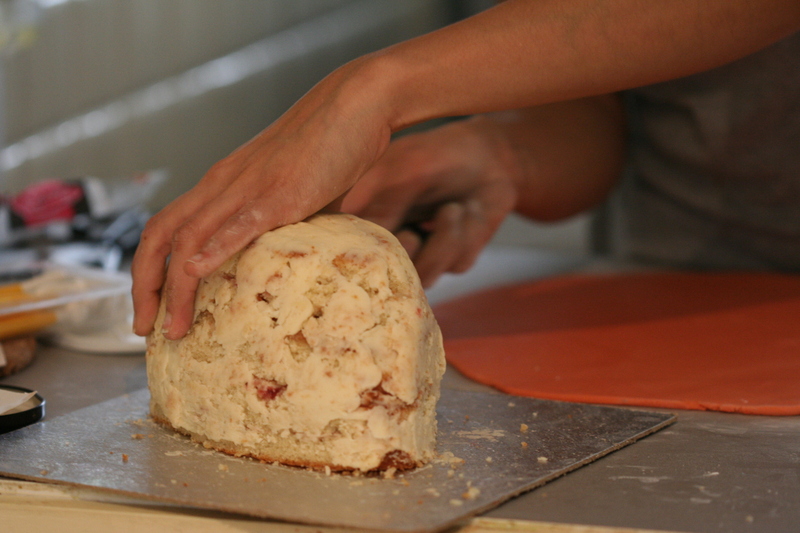 Be careful not to knead too much as this will destroy the effect. Then roll out as normal and place on the board. As detailed on the website I mentioned, I carved out the mouth and made indentations for the eyes and fins. 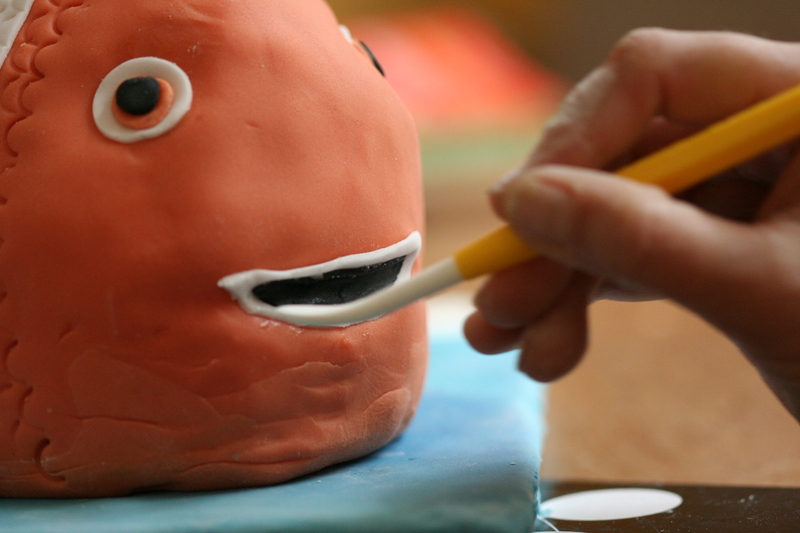 The fish was then covered in orange icing. 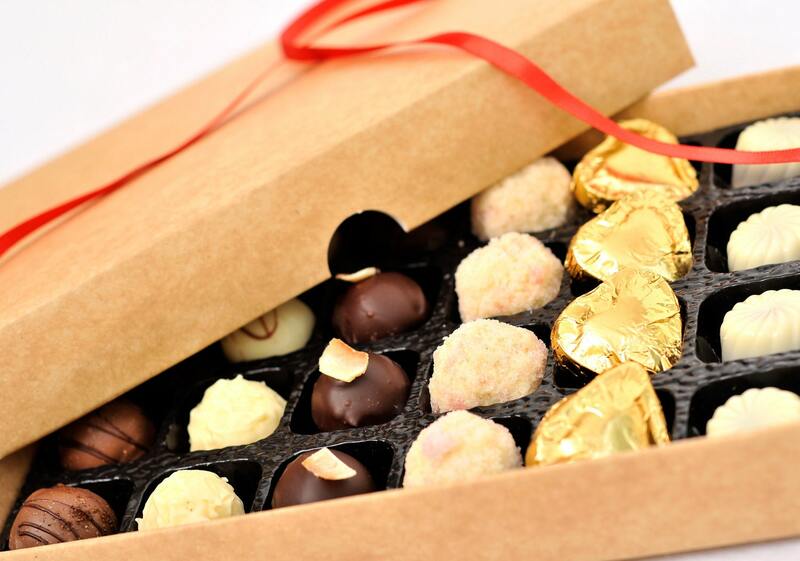 The scales were marked out with a modelling tool – you can use the tip of a plain piping nozzle as well. White strips were cut out and stuck on the body. Scales were marked on these as well. 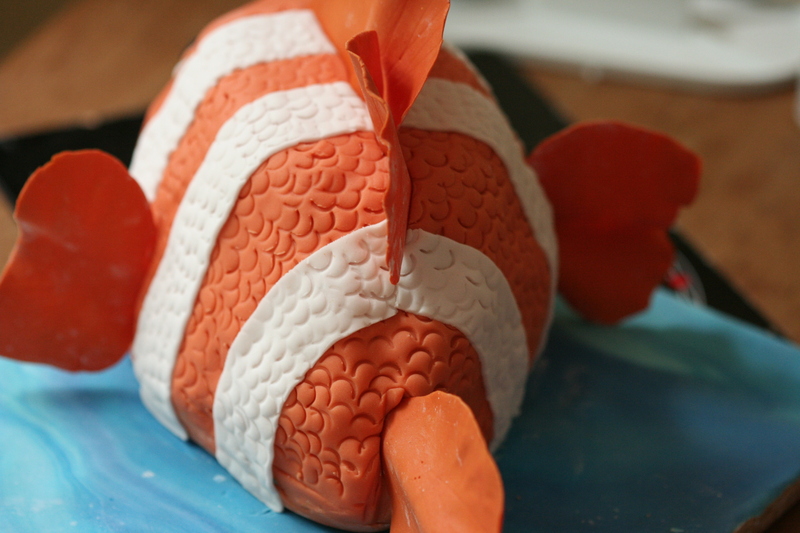 Each eye was made from white, orange and black circles of icing – each cut with different sized piping nozzles. 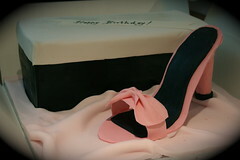 For the mouth, cut out the basic shape freehand from white icing. Then stick an smaller piece of black icing within and place in the carved out mouth. The fins were gently inserted into the indentations made earlier and stuck on with edible glue. The black lines were made with black royal icing of medium consistency. The piping is quite easy to do as it needs to be fairly zig zag and random. And that’s what it looked like in the end. 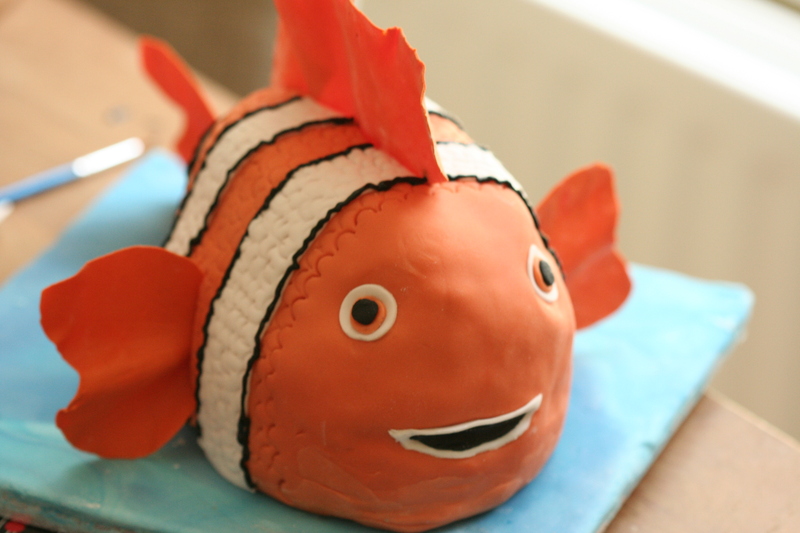 This entry was posted in Cake, Custom, Design, Innovation and tagged "Clown fish cake", "Nemo cake", carved cakes. Bookmark the permalink.